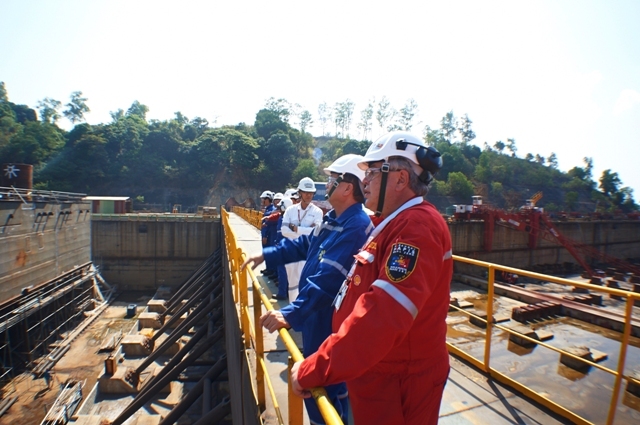 Philippine Department of Energy officials led by Undersecretary Ramon Allan Oca were welcomed by Shell Philippines Exploration, B.V. and the Keppel team at the Keppel Subic Shipyard in Subic, Zambales last March 20-21, 2014. 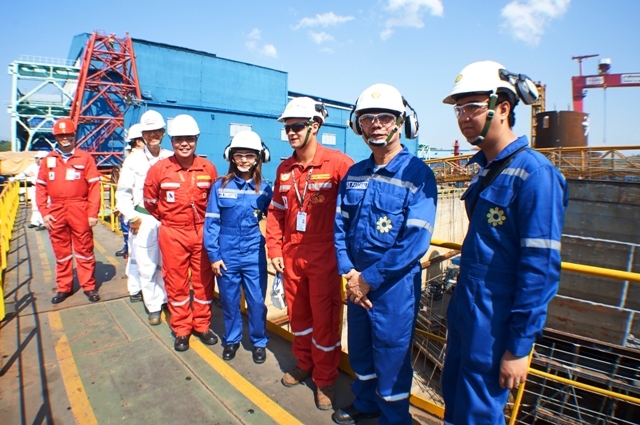 The DOE regularly visits the site of Malampaya Phase 3’s (MP3) fabrication activities to check on the progress of the first Depletion Compression Platform being built on Philippine soil. Antoine Bliek, Malampaya Project Manager, gave an update on Malampaya Phases 2 and 3 while Nathan Stephenson, MP3 Company Site Representative, briefed the officials on Fabrication Yard highlights. Paulo Gavino, Shell Upstream Communications Manager, presented updates on the social investment programmes being spearheaded by MP2 and 3. Following the briefings, the officials went on a yard inspection tour to see the innovative platform slowly coming to completion. 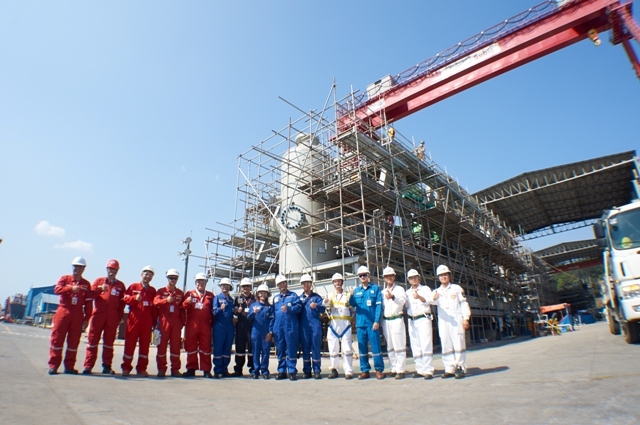 The scale of MP3’s gas platform under construction required the use of a 1,500T gantry crane—the largest in Southeast Asia. It has been built at the Keppel Subic Shipyard specifically for MP3. 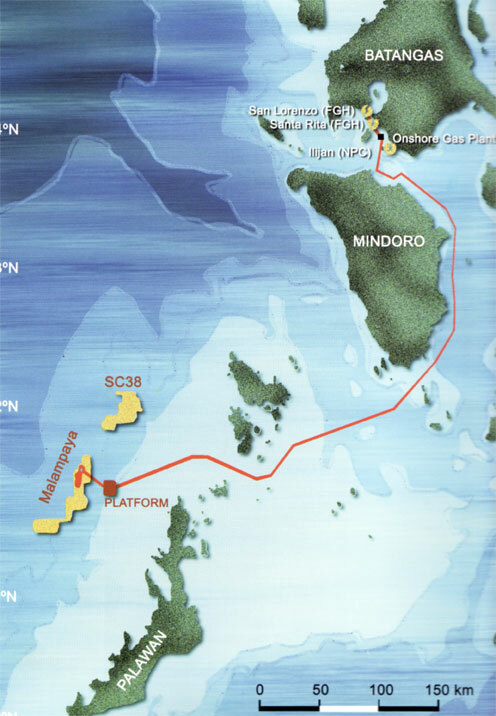 The offshore construction and installation of the Depletion Compression of the Platform will be completed in the coming months before it is towed out to its offshore location alongside the existing offshore Malampaya facility in Palawan later this year. Malampaya Phases 2 and 3 are the next stages of development of the Malampaya Deep Water Gas-to-Power Project. MP2’s additional production wells, together with MP3’s additional gas platform, will maintain the current level of gas being harnessed by Malampaya. The Malampaya Gas Project is developed and operated by Shell Philippines Exploration, B.V. using expertise drawn from Shell’s extensive global experience in deepwater technology and oil and gas exploration and production. The project is the pioneer of the Philippine gas industry, providing 30% of the country’s energy needs with cleaner-burning natural gas. The Malampaya Gas Project is spearheaded by the DOE and is operated and developed by SPEX on behalf of Joint Venture Partners Chevron Malampaya LLC and Philippine National Oil Company – Exploration Corporation.